The day is finally here! The TEACHER FASHiONiSTA Line of totes is now available to shop at Ooh Baby Designs! We have partnered together to develop a line of high fashion teacher totes. Here’s a design you’ll love – reversible, multiple pockets, wide straps, durability, roominess – all made with fashionable fabrics for a gorgeous functional bag! 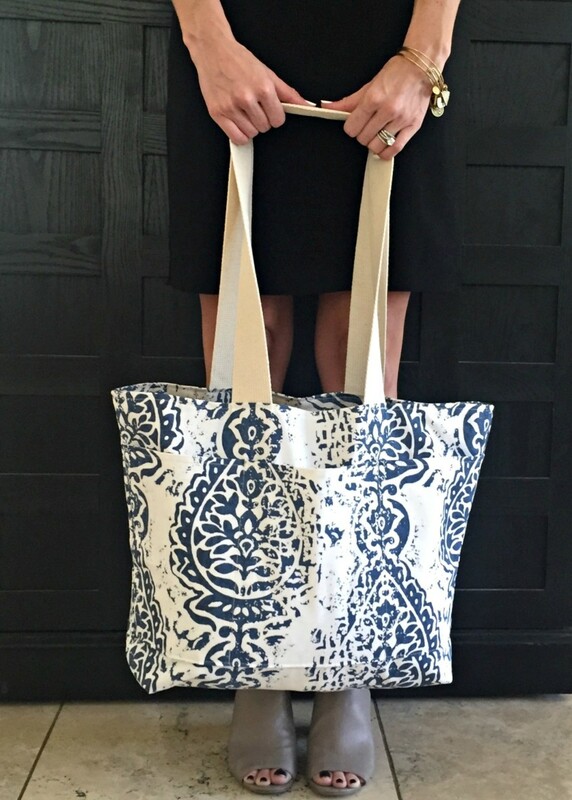 These totes are designed specifically for teachers! The pockets are large enough to hold a water bottle! My goal has always been to share more than just daily fashions. I want to help teachers (and others) find budget-friendly fashions and useful pieces for their everyday lives. Ooh Baby Designs (Stephanie) has a family full of teachers – eight to be exact – and her goal has been to design the best possible teacher tote. The TEACHER FASHiONiSTA Line marries these two goals with high end fabrics and beautiful original pairings you cannot find anywhere else. I chose the fabrics, Stephanie put them together – and you get to own them! These teacher totes are truly customized, designer bags.